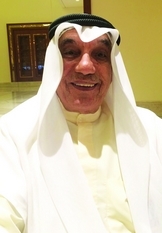 IN December 2011, the custodian of the two holy mosques, King Abdulla bin Abdul Aziz of Saudi Arabia, asked the other heads of states of what is formally known as the Cooperation Council for the Arab States of the Gulf—the Gulf Cooperation Council, (or GCC) for short—to move from cooperation towards a union of Arab Gulf states. The Saudi king thought that the pace and achievements of the GCC were inadequate to grapple with present day problems. He referred to Article 4 of the GCC Charter, which defines coordination, interconnection and complementarity among Member States as a mechanism to reach the final phase of unity of the Gulf countries.